In the past year and a half Facebook has been working hard to help businesses get more value out of their advertising system. Recently they renewed their commitment to helping by releasing a brand new type of Ad offering called Facebook “Lead Ads”. In our early testing, we’ve had excellent results with this type of ad. 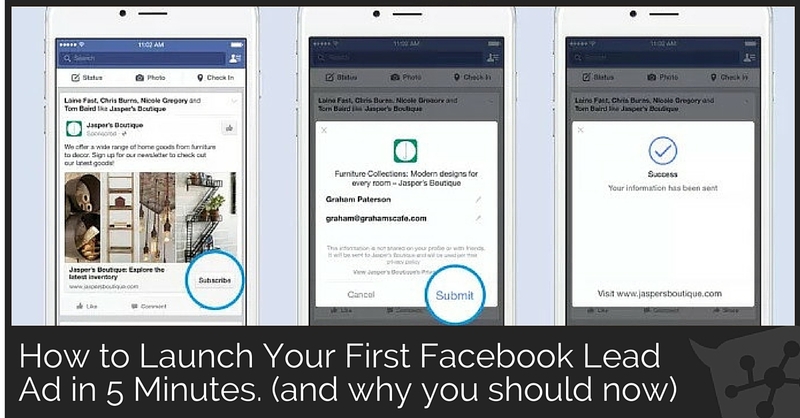 Because of these early “wins” we decided to do a full walkthrough on Facebook’s Lead Ads. 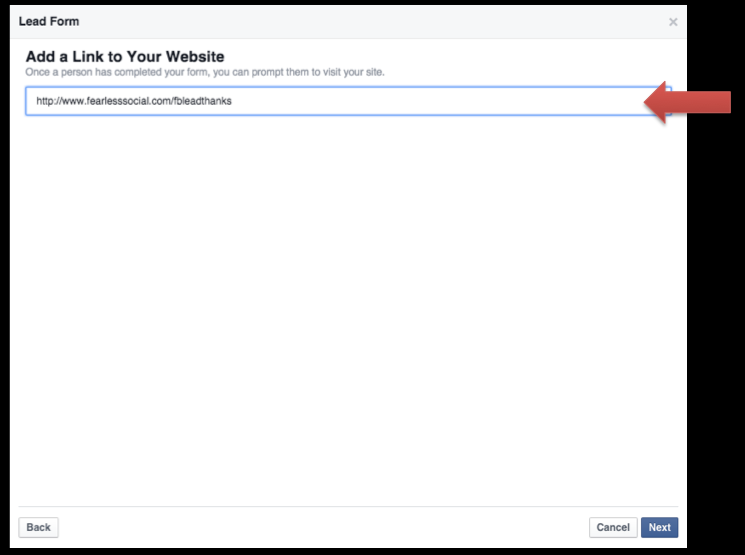 How to Setup a Lead Ad Inside of Facebook. 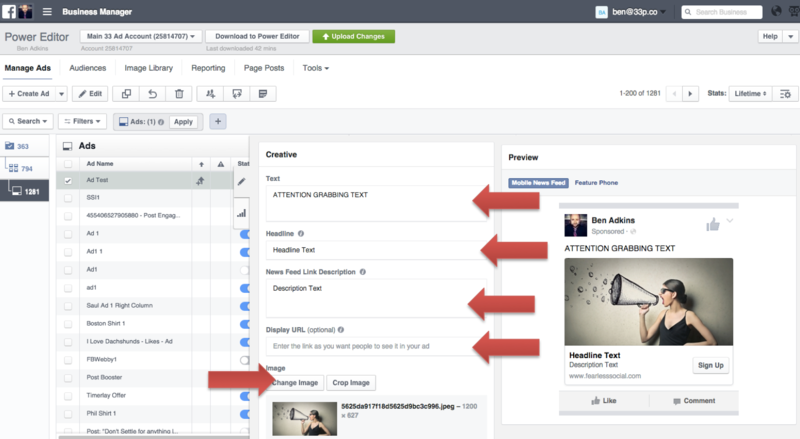 How to Download Your Leads from Facebook (manually). 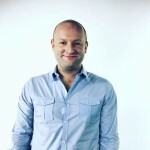 How to Connect a Facebook Lead Ad to an Autoresponder. Let’s Dive in and Get Started. A normal ad on Facebook is designed to take users to a webpage outside of Facebook so that they can take an action. That action is typically a purchase or so they can optin to an email list by entering in their information. This has worked well in the past but, on mobile devices especially, it has been difficult to get good results. Facebook has made an effort to solve some of these issues by developing something called a Lead Ad. 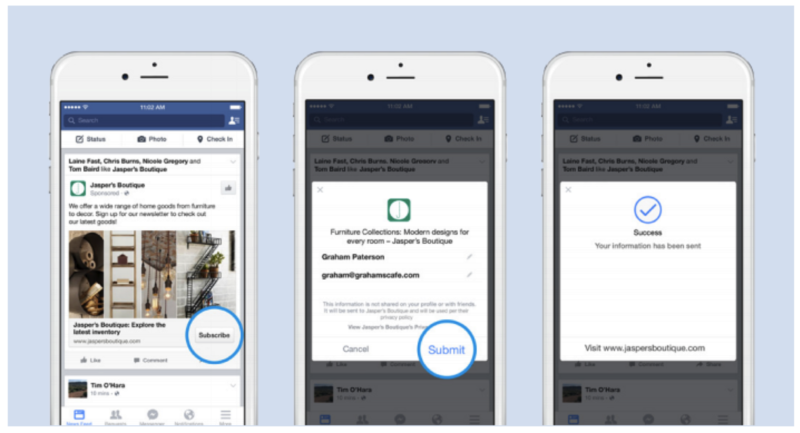 Initially Facebook is focusing on helping you collect leads via users on their mobile device by allowing them to optin to your list via two clicks. 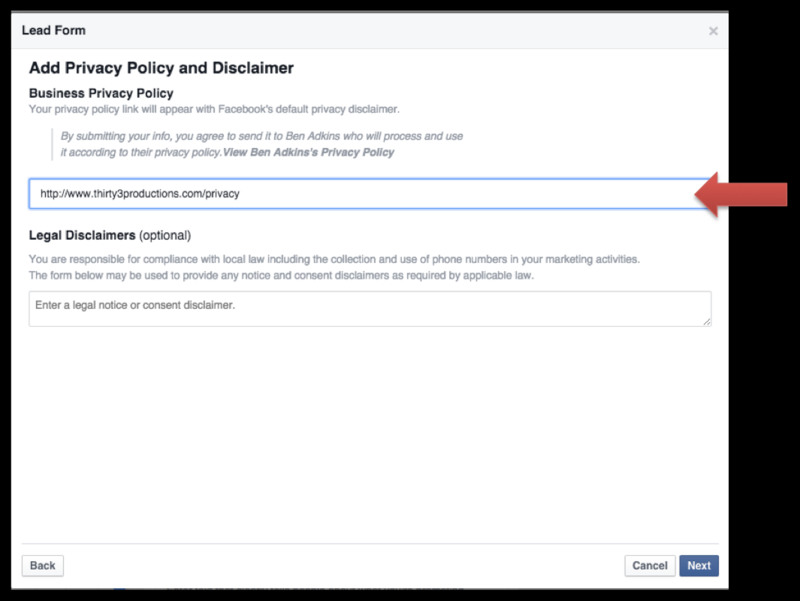 According to Jon Loomer, a well respected Facebook Marketer and Industry Insider, Facebook has even loftier goals for their lead ad offering. The most important part about Lead Ads is that a Facebook User will be able to optin to receive marketing from you via two clicks. (as illustrated above). This is extremely important because it puts fewer obstacles between an interested potential customer and your sales cycle. 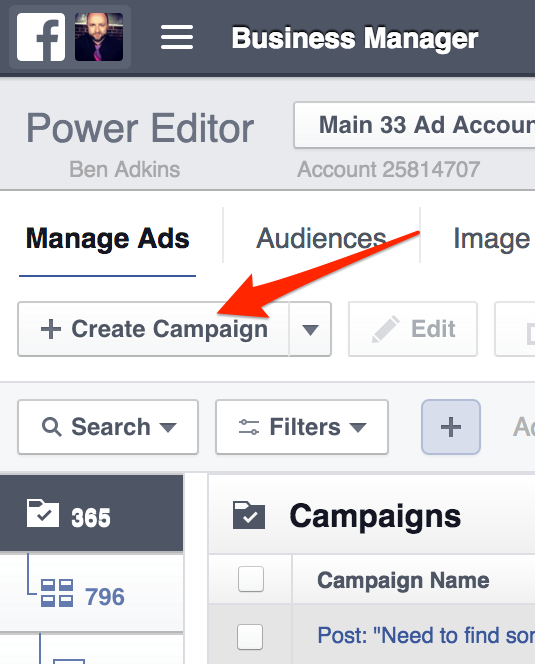 Let’s go through exactly how to setup a Facebook Lead Ad. 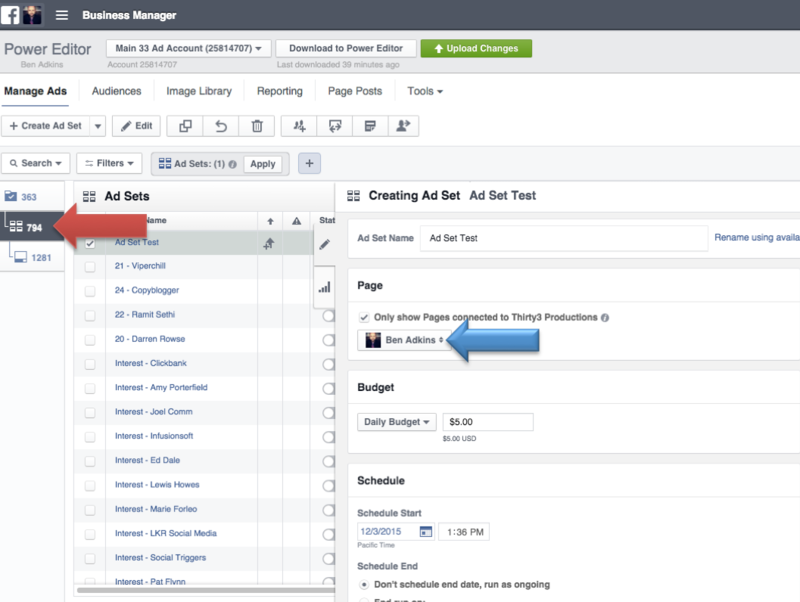 Now that you know about the Opportunity with Facebook Lead Ads, lets dive into how to set them up. 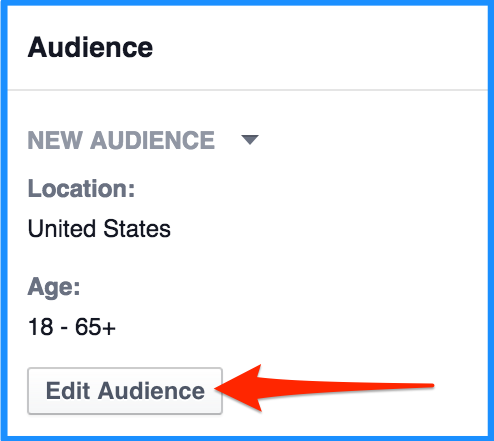 This isn’t the easiest process if you’re newer to Facebook ads (since it involves using Facebook’s Power Editor), but by the end of this article you’ll have everything you need to be able to set one up fast. To get Started we need to jump over to your Facebook Ads Account. (Don’t Freak out. I’ll guide you through it). (see yellow arrow in the picture below). Next We’re going to Click the Create Ad Button. These are the Campaign, Ad Set, and Ad. Don’t worry too much if you don’t understand what these all are. You don’t need understand all of that to for this to work as long as you follow along. You’re also going to pick who you’ll be targeting in the ad in this step. You can do that by scrolling down a bit until you see the “audience section” and clicking on the “edit audience” button. On this Screen we Pick a Name for Our Lead Form (pick whatever you want). On the Next Screen we can ad in new pieces of information to collect (stick with the default if you just want their name and email). Next, you need to enter the page you want people to end up on after they opt-in. Then you need to complete your actual ad by uploading a picture and filling out your ad headline. 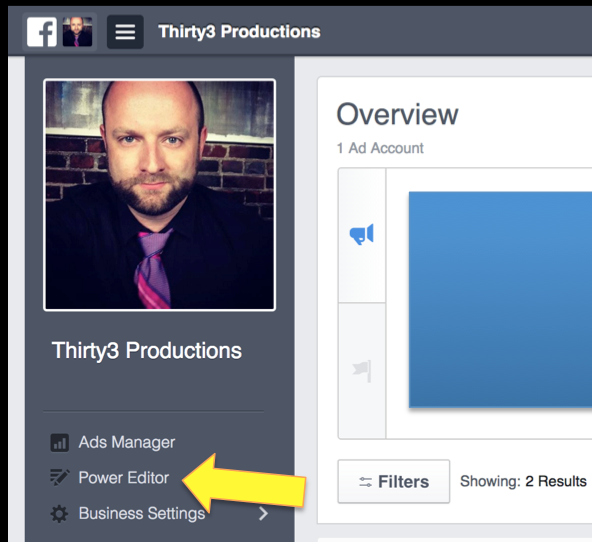 Finally, Click the Upload Button inside the Power Editor so that Facebook can Review your Ad (this usually takes a few minutes). How to Download Your Leads From Facebook Manually. 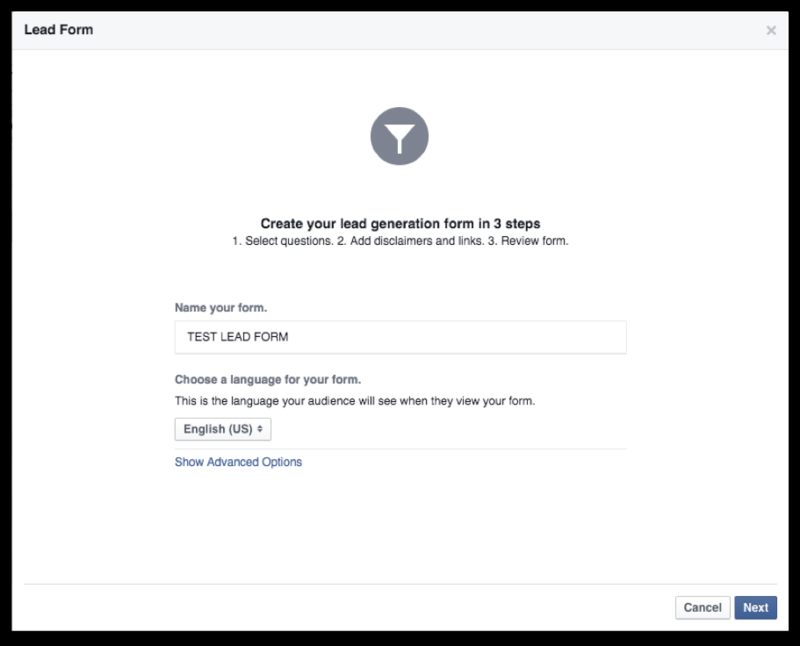 Facebook doesn’t connect to any third party CRM or Email Autoresponder service without the aid of external applications (we show you how to in the next section) but you can manually download your collected leads using the following steps. Visit the Facebook Page you Attached to the Ad. 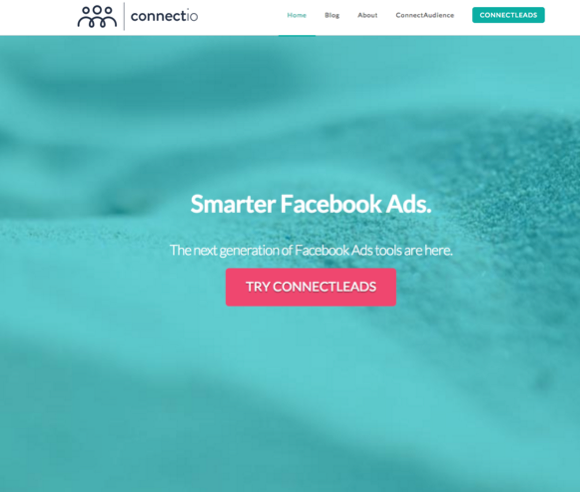 How to Connect a Facebook Lead Ad to your Autoresponder. While Facebook’s New Ads are great, they leave a lot to be desired if you use an email autoresponder to follow up with potential customers who optin for more information or specials. The biggest issue we have had with Facebook’s Lead Ad offering is that they don’t connect directly with any popular autoresponder services (or any at all for that matter). 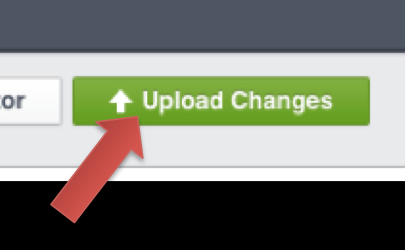 This means that you have to manually download them (as shown above) and do it daily. We wanted to be able to automate the process of download all of our daily leads from Facebook and then uploading them to our email autoresponder. That’s where a tool called CollectLeads comes into play. 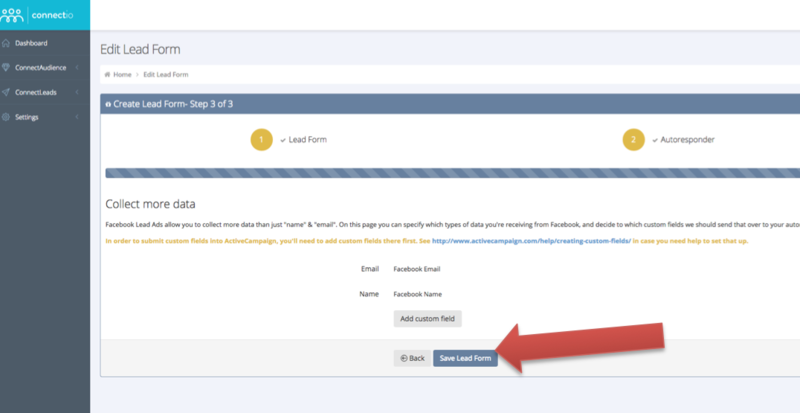 With CollectLeads we are able to Connect Our Facebook Lead Ad and our Autoresponder in a few easy steps. 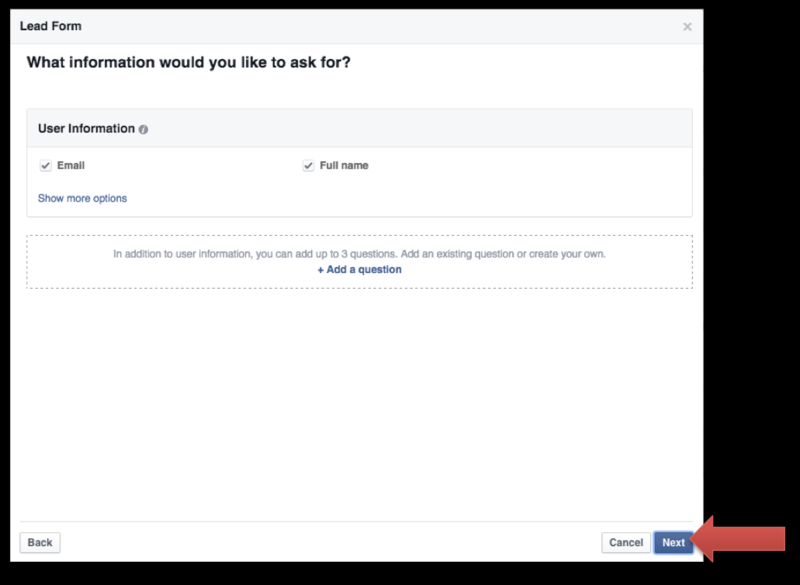 Connect Leads Prompts us to do a little initial setup to integrate our Autoresponder and Facebook Accounts into their system (this is about a 5 minute setup and you only have to do it once). You can see a full list of autoresponders that are supported by CollectLeads on this Page. 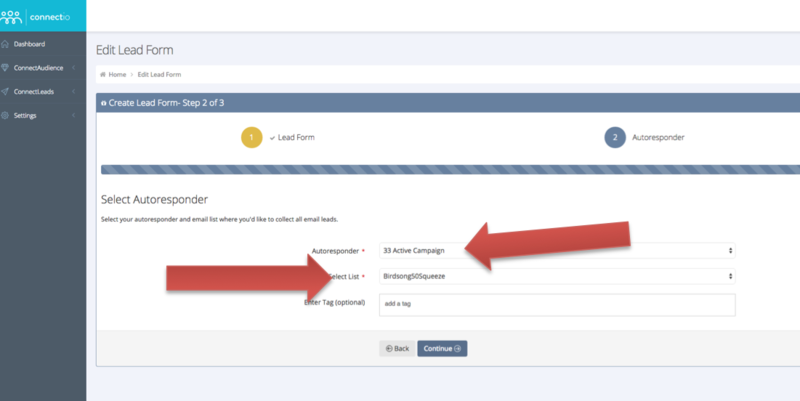 Next we Click on the “New Lead Form” link in the CollectLeads Dashboard. 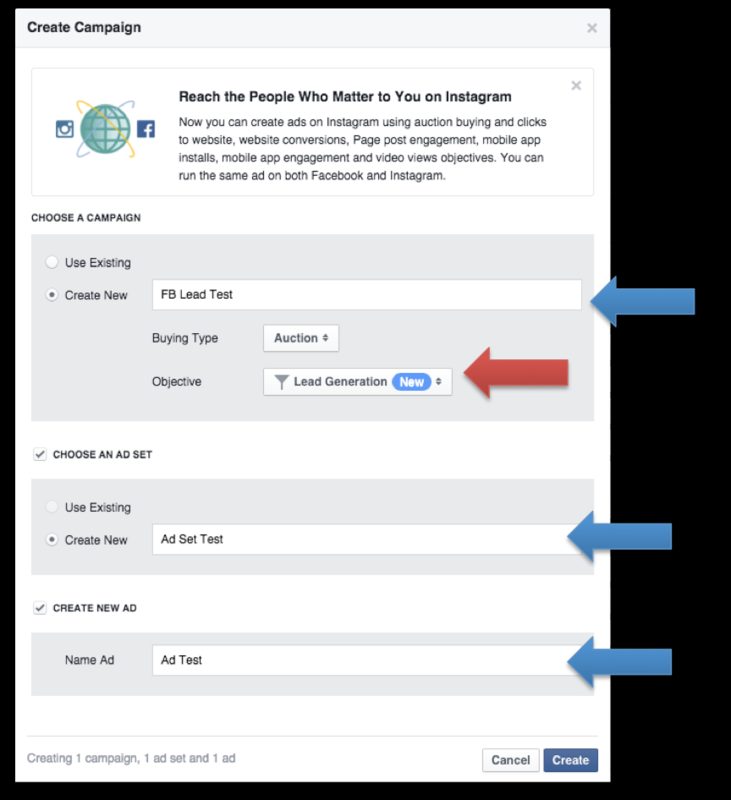 Next we select the Facebook Page the Facebook Lead Ad is associated with and then select the Specific Lead Ad you want to work with (if you have more than one). 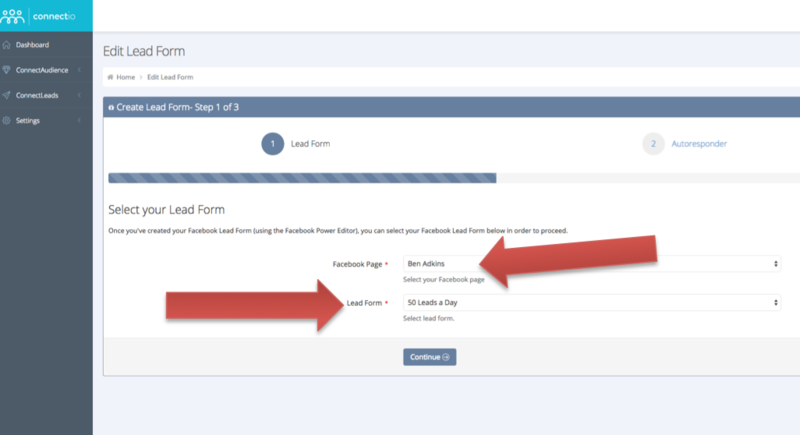 Next we Select which autoresponder account and list we want all of our Facebook Leads to go on. Once you complete this step, all of the leads that you collect with your Facebook Lead Ad will instantly be added to your email autoresponder. This allows you to setup email campaigns that will automatically follow up with every new subscriber without you having to manually download the leads and email them manually (or upload the list from Facebook every time you get a new lead). 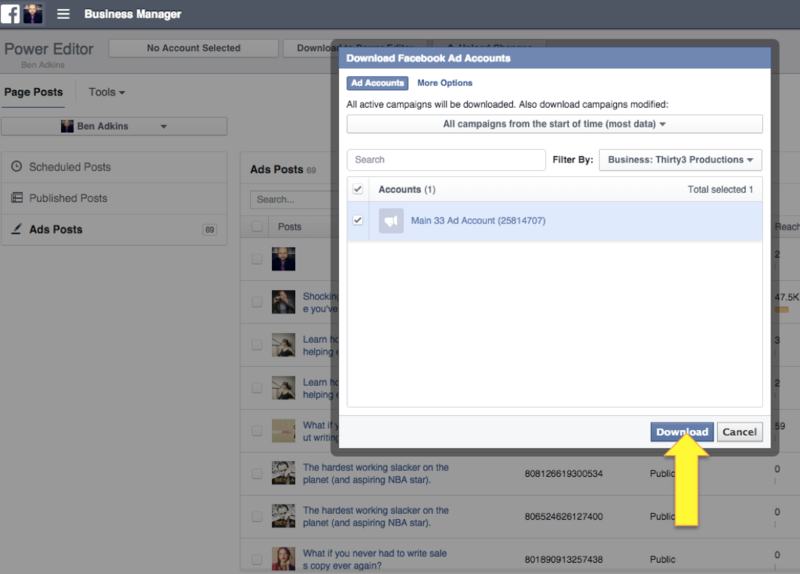 With the tutorial above you should be able to dive in and start using Facebook Lead Ads within the next hour. If you’d like a full walkthrough of the system we cut a full tutorial that you can access by clicking right here. 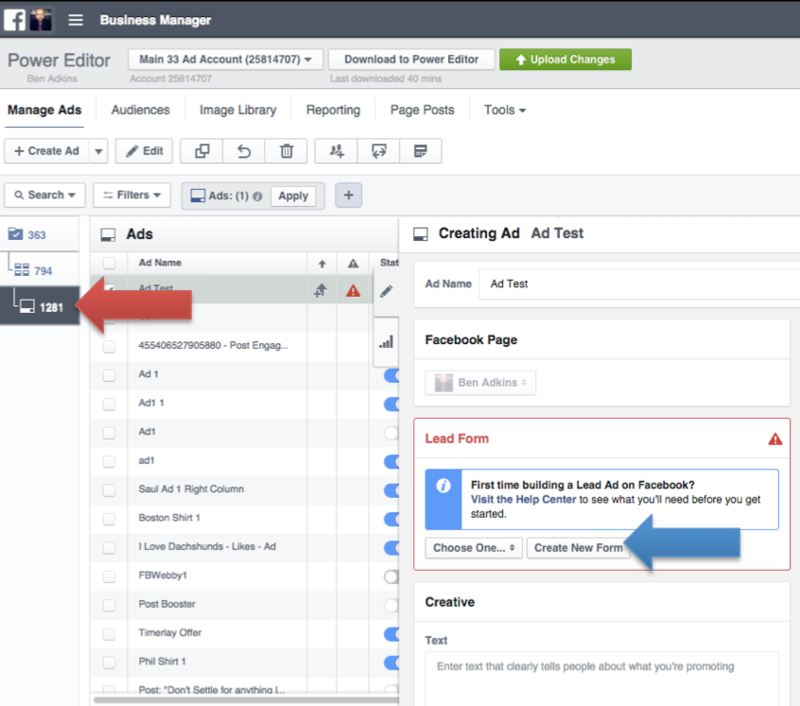 Got Questions about Facebook Lead Ads? I’m really excited to put these into action. For my ecommerce business, one of the biggest hurdles is launching a new product on Amazon and getting reviews. I’m going to set-up my first lead ad to build a list of people interested in reviewing discounted products. I picked up UpViral previously, but grabbed lifetime access to ConnectAudience and ConnectLeads just recently. I’m excited to get all three fully integrated within my business. Alright. I set up my first “test” lead ad and I was charged $0.38. Which one do you pause when setting up your campaign until you are ready ? I typically pause the ad set, but it doesn’t really matter. Just make sure it’s paused. Let me know how it all turns out for you!